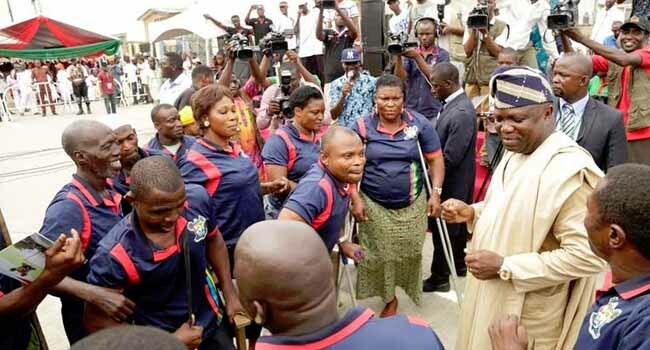 Lagos State Governor, Mr Akinwunmi Ambode on Friday expressed appreciation to taxpayers in the state for performing their civic obligations, revealing that the taxes paid have been judiciously utilized to make life comfortable for the people through implementation of several projects. 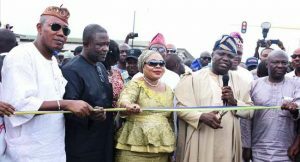 Governor Ambode, who spoke separately at Epe and Kosofe Local Governments where he commissioned network of roads, said taxpayers deserve to be commended for their efforts at contributing to the development of the State. “Our government is very grateful to Lagosians for their prayers and support particularly in the discharge of their civic responsibility through payment of taxes. It is my belief therefore, that we will continue to enjoy your unflinching support as we work together in transforming our State to the Lagos of our dream. “On our part, we shall continue to ensure that your taxes are judiciously managed and utilized towards making life more comfortable for everybody,” he said. While thanking the people for their support during the construction of the roads, the Governor urged them to endeavor to get necessary permit before embarking on any construction to prevent demolition of structures for such future road projects. “As we celebrate 50 years of our dear State, there is no better way to say thank you to all the good people of Epe division than the provision of economic infrastructure that will help make the communities liveable and viable,” he added.